One of my New Year’s resolutions is to play a solo piano concert at Carnegie Hall. This has zero chance of happening and has about as much value as most of the New Year’s resolutions we make, which is NONE. I made up this “resolution” for shock effect to make a point. This sort of resolution has several basic problems, the first of which is that it is unattainable for me and therefore unrealistic. I don’t play the piano. Second, it has no deadline. Third, it is not accompanied by any plan or road map for succeeding. Don’t get me wrong. I’m all for taking personal stock and committing to changes where they are appropriate, and the New Year is as good a time as any. The challenge is to make them achieveable. Wouldn’t it be a wonderful present to yourself to look back next December and see that you achieved what you conceived in your mind the previous January? Or, if you didn’t fully reach the goal, at least you made significant progress and you established a system to help you get there. There are plenty of advice articles on setting “goals” vs. “resolutions.” Call them what you will, I believe the real key to achieving your resolution is to have some sort of visible plan coupled with accountability and a deadline or deadlines. The easiest and most common path is to allow the inertia of our daily lives to overcome any changes we might conceive in our minds for the New Year. 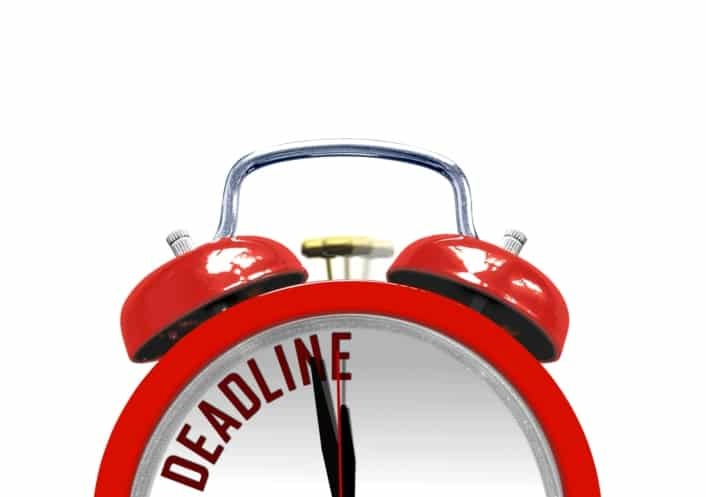 That’s where a deadline (or timeline), a way to keep your plan in front of you and some sort of accountability come in. I’m not an expert in this, but here are a couple of links to methods that might help – from MindTools and Michael Hyatt. My expertise is in financial plans, so here are some suggestions that might help. HAVE A PLAN! – Baby Boomers are notorious as do-it-yourselfers who like to tough it out and go-it-alone. It is a wonderful attribute, but remember you can’t be an expert in everything and often we accomplish more when we ask for help. It can be prudent, and not a sign of weakness. A written plan – no matter who prepares it – is essential. Keep it handy and review it periodically. DETERMINE YOUR NEEDS – This will take some time, so set a deadline and make it happen! Our firm recommends dividing your retirement fund uses into four categories: Needs, Wants, Likes and Wishes. Start with Needs, as this is the stuff necessary to survive such as food, shelter, clothing, transportation, health care, etc. We call this effort Lifestyle Driven Investing™ and you can find more about it here. INCREASE YOUR SAVINGS – If the evaluation in the previous step found that you will come up short (this is common), you need to figure out how to set aside more for savings. There are only two ways to do this – increase income or decrease expenses (or a combination of both). There are plenty of ways to do both, but you will be ahead of the game if you are armed with knowledge of your real needs from the previous step. If your employer has an employer-matched savings program (401K or 403b, for example), it is usually good to participate at a high enough level to get the maximum employer match. If you are not contributing at that level, every dollar you add is effectively doubled by your employer. Caution: there might be reasons not to contribute any more than the employer match. An advisor can help sort through that scenario. PROTECT YOURSELF – Life happens to all of us. Risk management is often the most overlooked area of a financial plan, but I believe risk assessment and risk management planning should come before all other planning issues. Addressing the possibilities in advance of a problem is the far better option. My formula is simple: identify the risk, quantify its potential downside and then decide to either transfer the risk (usually an insurance product) or decide you can assume the risk. You probably need help with this one. GET YOUR LEGAL HOUSE IN ORDER – The minimum documents are a will, durable power of attorney and medical power of attorney with associated medical directives for your care should you be incapacitated. The experience brought to the table by attorneys can help you avoid pitfalls that they witness routinely in their practices. THINK LONG TERM – The markets have ups and downs and you need to view these as normal and expected. Your plan should be developed with the expectation that the market does not always go up. HAVE A CRITICAL EYE – I call myself an “agnostic” investor. By that I mean I approach all investments with a critical eye. Even when you seek help, learn as much as you can and question why your investment portfolio looks the way it does. My wish for you and your loved ones is a happy and prosperous 2016. You can help give yourself that gift with some well-planned resolutions.